The company will close the more than 8,000 Starbucks locations it owns in the U.S. for the afternoon on May 29 to conduct the sessions. But for the training to work, it must be part of a broader policy and culture change, experts say. Starbucks will shut down its U.S. stores for a few hours in May to provide its workers with racial-bias education. But for the kind of training Starbucks plans for 175,000 U.S. employees to work, it must be part of a broader policy and culture change both inside the company and in society at large, say researchers and experts who conduct similar training. The company provided few additional details; it’s still developing the program, with help from national experts. But this kind of training has become more common in the last five years as a way to address implicit bias – stereotypes and attitudes people hold without being aware of them –at other large companies such as Microsoft and Facebook, police departments and jurors in federal court in Seattle. That long-term view is critical, said University of Washington associate professor Ralina Joseph, who directs the Center for Communication, Difference and Equity and leads similar trainings. To be effective, the training shouldn’t be implemented in a vacuum, said Kimberly Kahn, a Portland State University associate professor who researches implicit-bias and has developed training curriculum for police departments. It must be paired with changes to policies and practices “to take away some of the ambiguity and discretion that might be happening in these situations,” she said. Johnson, in his initial response to the Philadelphia arrests, acknowledged ambiguous corporate policies and “local practices” for when store employees should call police. That ambiguity is reflected in the broad range of experiences people have shared on social media when asking to use a Starbucks bathroom without having made a purchase, for example. The two men in Philadelphia were reportedly asked to leave the store in similar circumstances, though they were waiting for a third person who arrived as police, called by the store manager, arrested them for trespassing. The men were released hours later without charges. Johnson apologized in person and talked with the men “about how this painful incident can become a vehicle for positive social change,” Starbucks and the lawyer for the men said in a joint statement Tuesday. Those policy changes could be more important than the training, said Rosalind Chow, associate professor at Carnegie Mellon University’s Tepper School of Business. The problem is that peoples’ implicit biases, and the broader cultural conditions they stem from, can lead to uneven enforcement of clear policies. That’s why training is necessary, Joseph said. To be effective, training must be couched in the context of systemic racism as a foundational fact of the country. “We can’t start to implement any kind of anti-racist training until we understand these deeply racist roots,” she said. Joseph points to the way the Philadelphia incident gained national attention – from a video tweeted by a white woman– as an example of this systemic racism. “White people are really incensed and that’s why this becomes an issue,” she said, adding that incidences of racism happen every day and typically don’t make national news or prompt major corporations to action. Starbucks said it plans to make the training part of its orientation process for new hires, and to measure its effectiveness with help from outside experts. 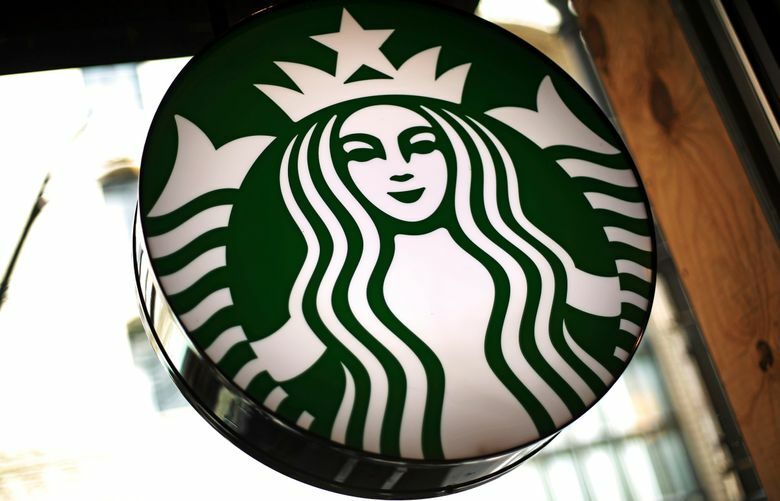 The company also said it will make the training materials it develops available to other companies, including businesses that license the Starbucks brand to operate stores. In its Americas business segment, including the U.S., Starbucks had 9,525 company-operated stores at the end of 2017. Another 6,764 stores were operating under a license from the company. The May closure will mark only the second time the company has taken a step like this. Starbucks conducted a similar closure of all its U.S. stores on the evening of Feb. 26, 2008, to retrain employees on “the art of espresso” in an attempt to “reinvigorate” the company and the store experience in the face of flagging sales and competition from McDonald’s and Dunkin’ Donuts.